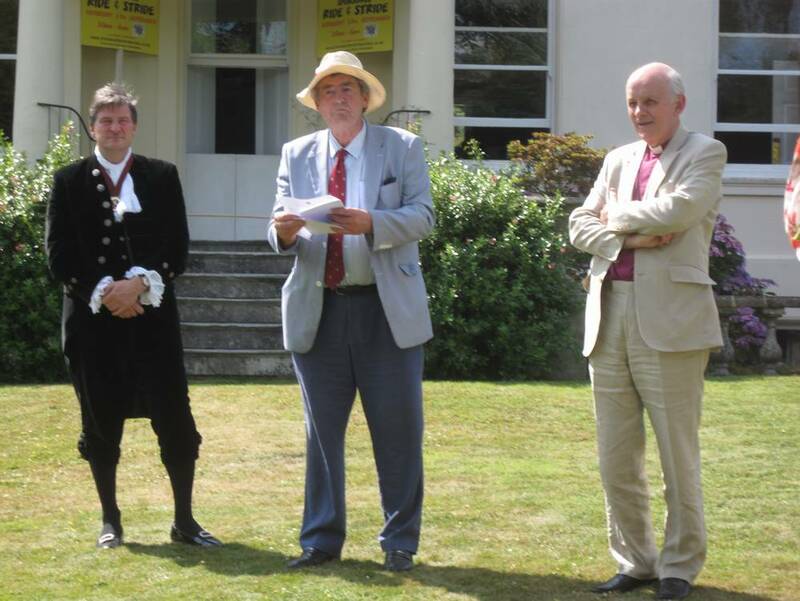 The Friends of Kent Churches plays an invaluable part in the conservation of the County’s ancient churches. Last year it made grants of £158,000. Most of the money comes from its annual sponsored Ride & Stride which raised £132,000 last year; most of the balance comes from legacies. They also welcome new members who can take part in activities such as church visits and lectures while contributing to their funds. Last year the Friends offered a grant of £22,500 to Shorne Church towards the Roof Appeal and without that the work would not have started this year. Because they supported us with such a large grant (they usually only give £500 to £ 15,000) it would be ungrateful of us not to support the Ride & Stride which will be on Saturday 13th September. Can you take part and support this work? 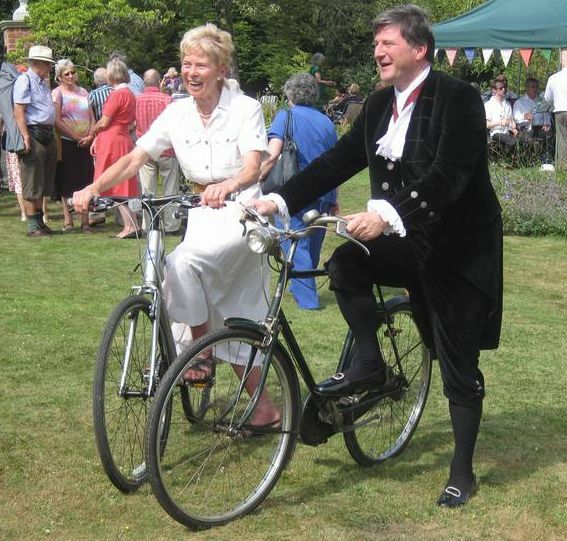 Last year Peter & Maureen Morten took part as walkers and Mark Davis cycled. Peter & Maureen will not be able to take part this year so we need some more people to join in and have a great day out. More information from Andrew Moffat (Churchwarden on Contact Us page) or the Friends of Kent Churches web site. Please help! 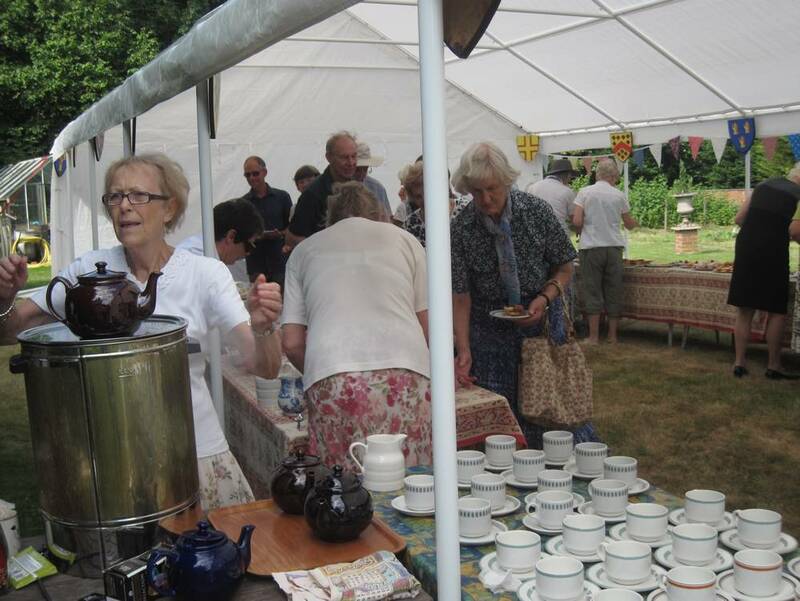 The Friends showed its appreciation to those who help and take part by inviting them to a garden party on 16th July at the home of Mr & Mrs Andrew Wells at Mereworth. Peter & Maureen Morten, Revd Glyn Ackerley and Andrew & Linda Moffat (who help with the organisation of the event) attended from Shorne. 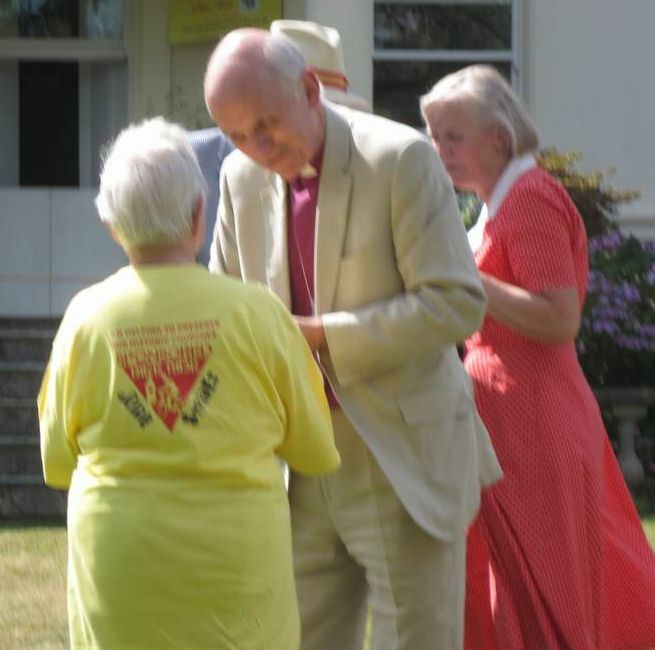 The Bishop of Dover (Rt Revd Trevor Wilmott) presented awards to participants and helpers who had made outstanding contributions including a lady from Sevenoaks aged 101. 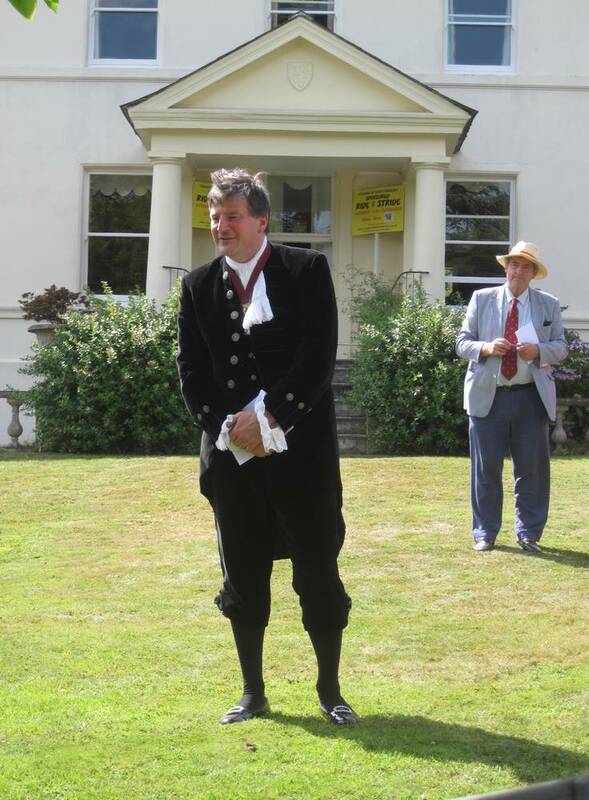 The High Sheriff of Kent, Hugo Fenwick (of the Fenwicks stores family) was also there wearing his traditional dress. 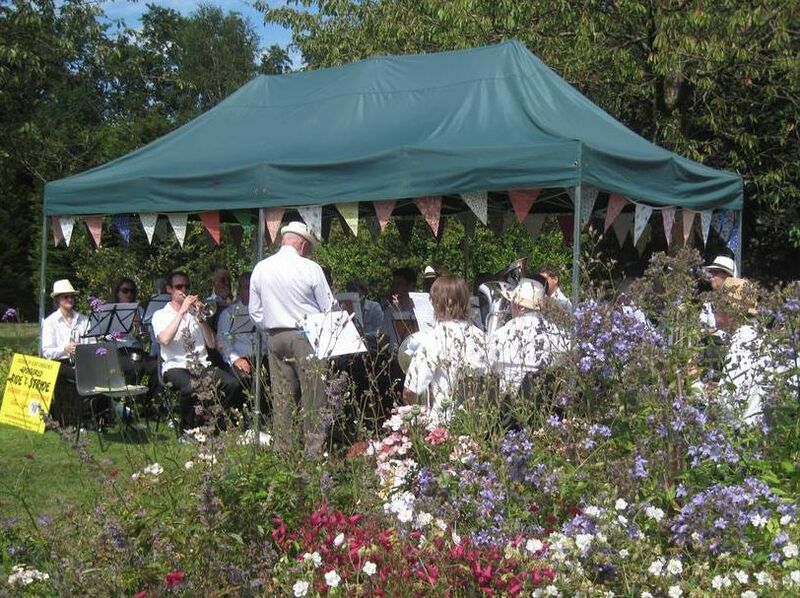 There was also a brass band and, of course, tea with food contributed by those attending – and lovely warm sunny weather. Click on the pictures below to see larger versions.